In 2016, New York State completed the purchase of 65,000 acres of former Finch, Pruyn & Company lands from the Adirondack chapter of the Nature Conservancy. 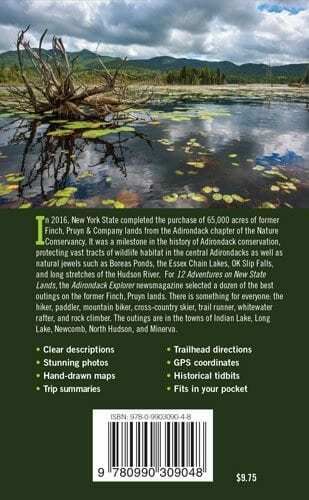 It was a milestone in the history of Adirondack conservation, protecting vast tracts of wildlife habitat in the central Adirondacks as well as natural jewels such as Boreas Ponds, the Essex Chain Lakes, OK Slip Falls, and long stretches of the Hudson River. 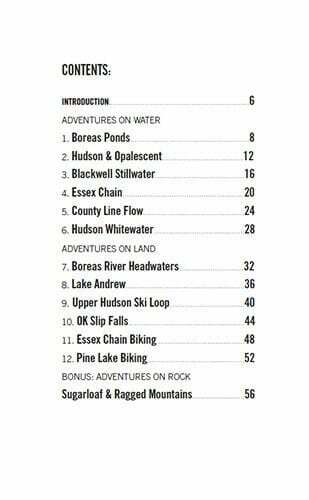 For 12 Adventures on New State Lands, the Adirondack Explorer newsmagazine selected a dozen of the best outings on the former Finch, Pruyn lands. There is something for everyone: the hiker, paddler, mountain biker, cross-country skier, trail runner, whitewater rafter, and rock climber. The outings are in the towns of Indian Lake, Long Lake, Newcomb, North Hudson and Minerva. 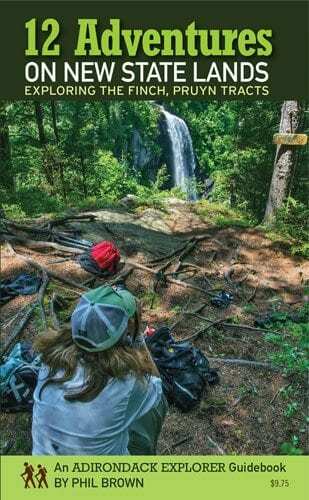 Buy the full set of three “Short Hike” guidebooks and get “12 Adventures on New State Lands” free!